1. Ruby's dream: to become a famous treasure hunter. Jio's dream: to rule the world! 2. Ancient relics of a lost civilization hold the key to humanity's future. 3. Inside this young boy lives the power to change the world. R to L (Japanese Style). Final Volume! The leader of the Zenom Syndicate has acquired the Kabbalah and the Reverse Kabbalah, and he is very close to realizing his dream of completing them. Miko, leader of the Stea Government, sees her dream of ultimate world unification about to come true as well. Both, however, face an ultimate challenge from Jio and his alter ego, Satan! In a not too distant future, mankind battles over O-Parts, powerful relics from an ancient civilization. Jio is a young boy with a tragic past who only trusts one thing in the world: money. Little does he suspect that he is also a very powerful O-Parts Tactician (O.P.T. ), and inside him sleeps a demon of incredible ferocity. 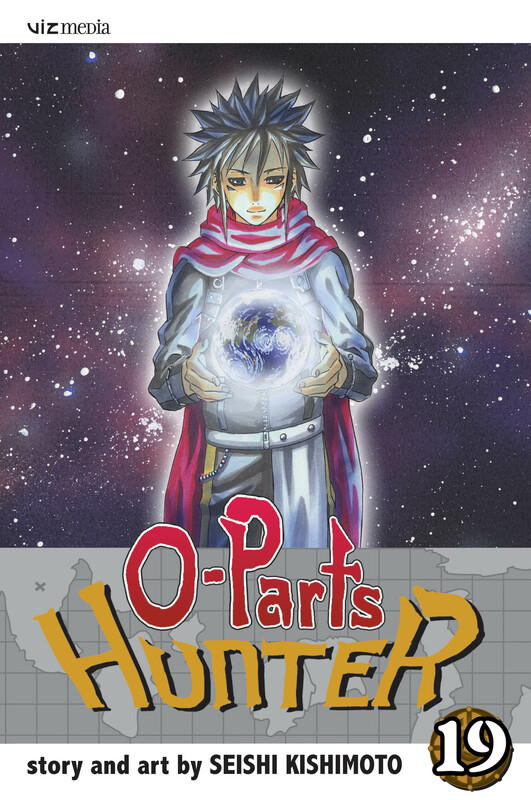 With his partner, Ruby, Jio embarks on a dangerous quest to acquire as many O-Parts as he can.